Hmm…I’m not sure, but I’m inclined to say, “Not,” as the petals look different than what they should. At any rate, these appear to be part of the Asteraceae family…and I found them in the meadows of Walnut Canyon and in the dry bed of Marshall Lake…both in northern Arizona, just south and east of Flagstaff. 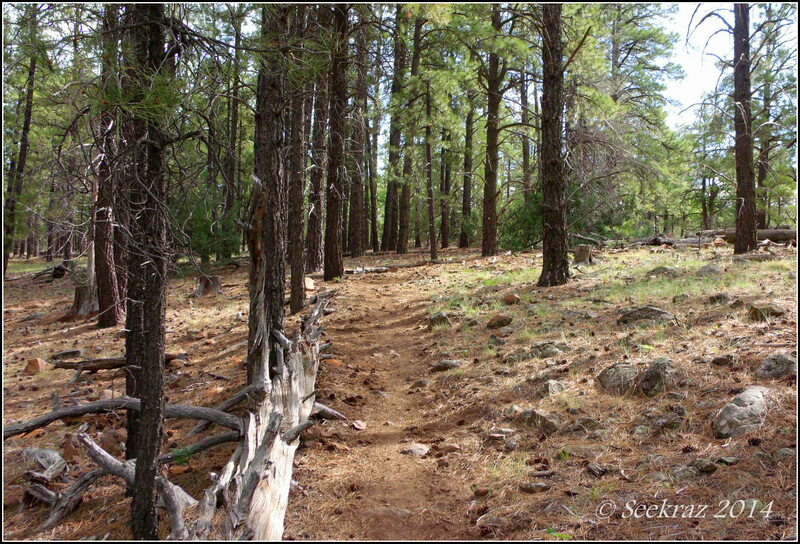 My hike this past Sunday was in the Coconino National Forest just south and east of Flagstaff, Arizona. The trail-head was 128 miles and about 90 minutes from my doorstep in north Phoenix…which is quite a change from my former hiking environment in the Salt Lake Valley…the Wasatch Mountains, in general, and, as pictured below, Little Cottonwood Canyon, in specific (among other places). You might remember me mentioning a couple of times in the past that I could be to the nearest trail-head in the time that it took me to drink a cup of coffee. Ah, well…those are memories now…and where I live in this present stage of my life situates me, like I said, 128 miles away from this particular trail…yes, there are closer trails…and yes, most/many/lots of them are found in and among the desert “mountains”…with nary a bit of shade…and temperatures that soar up into the “hundred-and-some-teen” degree range (100 – 119 or higher)…so I drive north to the mountains. At any rate, I hiked the particular trail that leads from Marshall Lake to Lewis Point…a 13.8 mile round-trip excursion through a Ponderosa Pine forest, down into what I understand to be part of Walnut Canyon, to the limestone prominence and canyon over-look of Lewis Point, and then back to the starting point. This was a new forest and a new trail for me…a new experience, essentially. 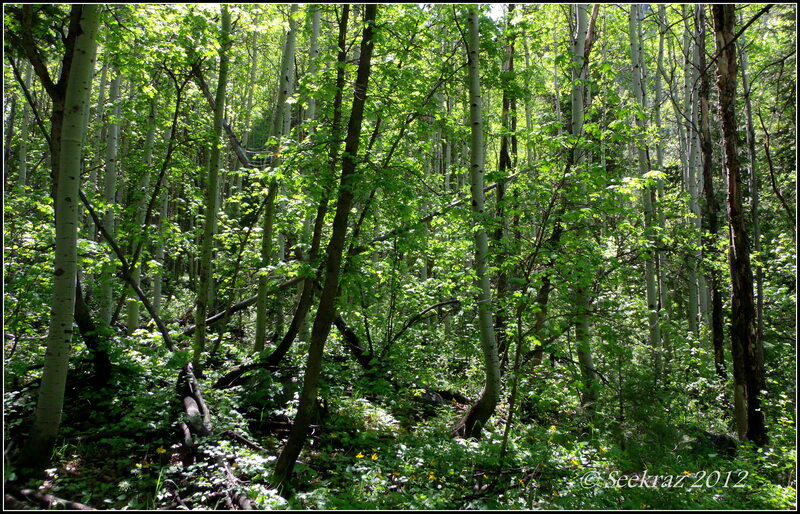 Another part of the newness was hiking through a forest where a wildfire had raged only three months ago. I’ve driven past locations along the freeways or highways that had been burned over the years and had hiked among the charred skeletons of scrub-oak trees that had been burned in many seasons passed, but I’ve never had the incredibly intimate and awe-inspiring experience of walking through a forest that had been so recently in flames. To add to the eeriness of the situation, there was visible and “smell-able” smoke in the canyon from controlled burning that the forest service was conducting many miles south. Please remember that you can click on any image in the gallery to be taken to a slide-show where you can view the photos in a larger format. If you’d like more information about the Fisher Fire, you can check-out this link from April of this year…it has another link to the Coconino National Forest’s Flicker account which shares images of their more recent (and historical) fire-fighting efforts, as well as many others that show the beauty of this northern Arizona national forest.